One of the most well-known fitness equipment or machine used in gyms and home gyms is the cross trainer. Also known as the elliptical trainer, this important exercise device is used by individuals who want to either shed extra pounds or maintain a certain figure or physique. It is very much similar to the treadmill and the stationary bike; in fact, it is a combination of both. The only difference is that with the cross trainer, there are foot pedals instead of moving belt, like in a treadmill. For anyone trying to purchase an exercise equipment for the home, opting for a cross trainer is as good a choice as either the treadmill or even a stationary bike. 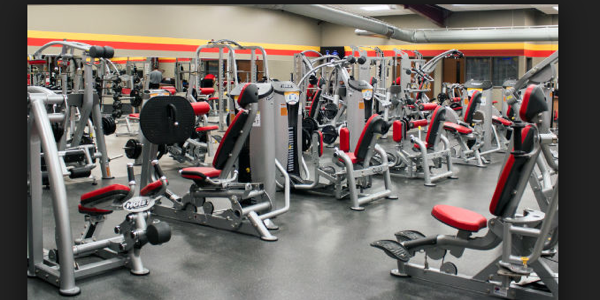 Anyway, any of these machines are capable of providing intense aerobic exercises and give users the power to reach their health and fitness targets. However, using the cross trainer requires less exertion of effort, owing to one of its major components—the foot pedals. These pedals provide more balance and stability for the user, which enables him or her to simulate walking and running. Indeed, opting for this equipment for the home makes for a great purchase. Basically, walking and running is just one of the simplest exercise activities out there. Types of fitness equipment that replicate both experiences, the treadmill and the elliptical machine, are both helpful in providing excellent results. Indeed, any one of them can be used whenever one wants to go exercise but can’t go out because of inclement weather. But then, the cross trainer provides even more in terms of comfort and ease of use over the treadmill. Because not all people are accustomed to running, many of them may experience joint pain, especially the ankles and knees, when they engage in said activity. On a treadmill, the soles of the feet leave the moving belt, very much like how people run up the hill. After some time, pain may set in, which could worsen because of a sudden injury while using the treadmill. Now, with the cross trainer, the same activity of running can still be done on the machine, but with the soles of the feet never leave the platform; in this case, the equipment’s foot pedals. Front-drive type. This cross trainer has the flywheel located in front of the machine. This may be an option for you, but you may have to lean forward just for you to move your legs. Rear-drive type. This cross trainer has the flywheel located in the rear of the machine. This may be an option for you, especially if you are into maintaining proper posture while exercising. In fact, many say that this is the most suitable machine for it greatly simulates walking and running. Center-drive type. This cross trainer’s flywheel is at the center of the machine, beneath where you are placed on the machine. When you are into compact exercise equipment that does not take up much space, then this might be for you. Because the feet are rested on the pedals, there is no stress whatsoever on the important joints of the lower limbs, particularly those of the knees and ankles. Indeed, the ability to run without ever lifting up a foot is possible with the cross trainer. It strengthens the legs with every movement, as well as the arms thanks to side grip handles of the machine. Adjusting the different levels of intensity is also possible, making it a perfect piece of exercise equipment for interval cardiovascular training.